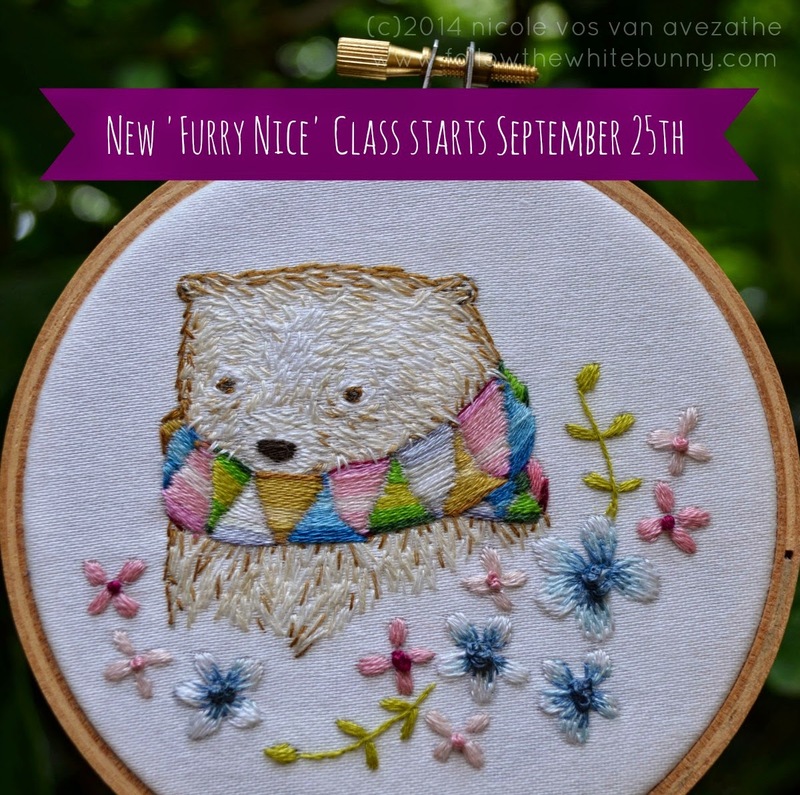 Follow the White Bunny: Sign up for the new Furry Nice Embroidery Class! Sign up for the new Furry Nice Embroidery Class! I'm very excited to announce my second Furry Nice Online Embroidery Class! It's basically a repeat of the class I hosted earlier this year but with a few tweaks and improvements, based on my experience with the first Furry Nice Class and the feedback I received from the students. Together we'll be stitching the Polar Bear you see pictured above. My aim is not simply to let you replicate the original but to show you what's 'behind' my furry stitching. It's about shades and colours and creating depth in embroidery. To me one of the most striking things of the first Furry Nice course was how well the students were able to absorb and use the information and techniques I provided them with. As a result some very lovely Polar Bears were stitched during class! In addition to the Polar Bear the class includes several exclusive patterns including a Sailor Fox, A wistful looking Bunny and smaller patterns to practice your newly learned shading skills. The Online Furry Nice Class starts on the 25th of September 2014 and will run for five weeks. The information and downloads will be available for much longer than that (at least until the end of 2014) so you can follow the lessons in your own pace. 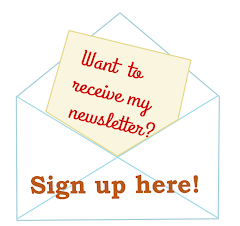 You can go directly to my store to secure a place in the class and you will also find more information about the class there. The price is $40 if you sign up before the 9th of August and $45 if you sign up at a later date. Hope to 'see' you in my class!